Rushton re-produced a poster from the ‘SCHOOL poster’ series, 1975-76 and adjusted it for a contemporary audience. 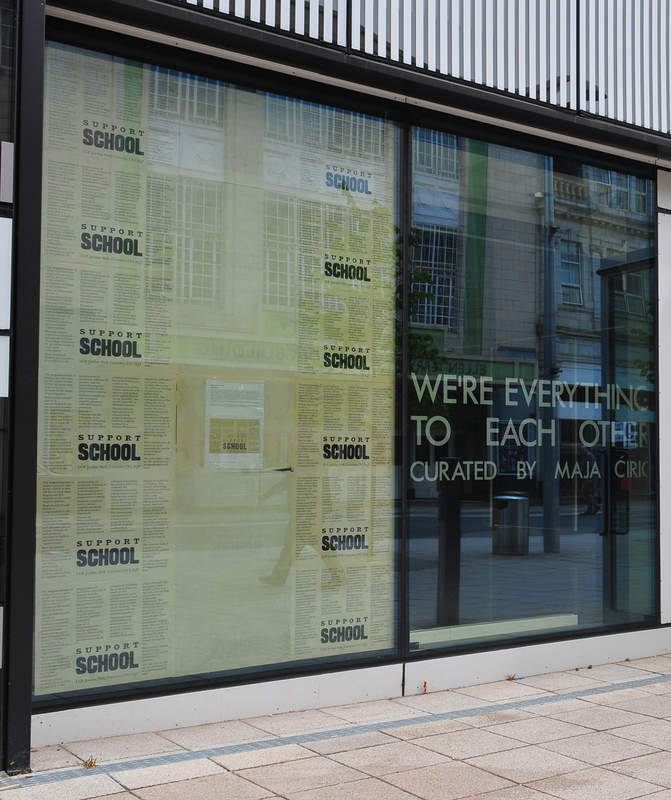 The original posters formed part of a wider counter-movement of self-organisation and self-education amongst UK art students in the 70s which was active in questioning the art-school’s perceived compliance with dominant capitalist ideology, which supported the neo-modernist, neo-romantic model of the artist. 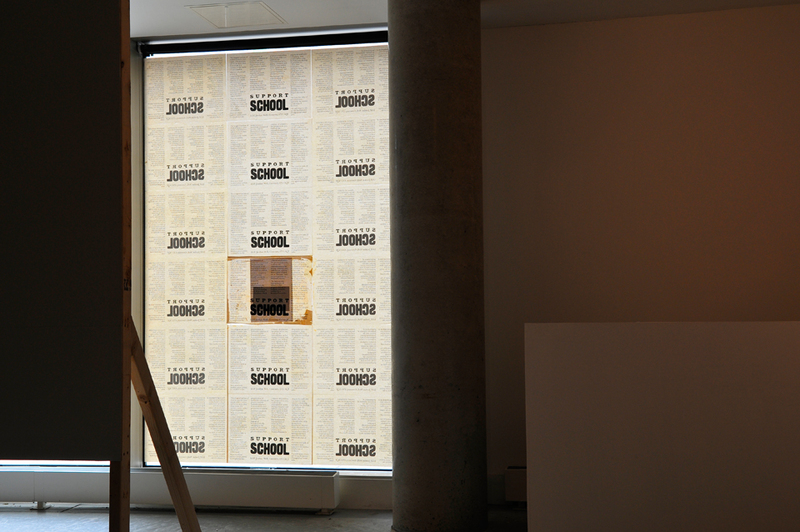 The posters were produced against a shifting landscape in art and education, when radical pedagogical programmes were attempting to disrupt art schools, encouraged by artist-lecturers who recognised the political and pedagogical potential of conceptualism with the de-materialisation of the art object. The loose association of SCHOOL students formed from across the UK and contributed to the wider counter culture of the 70s, distributing arguments of collective resistance, political dissonance and activism. 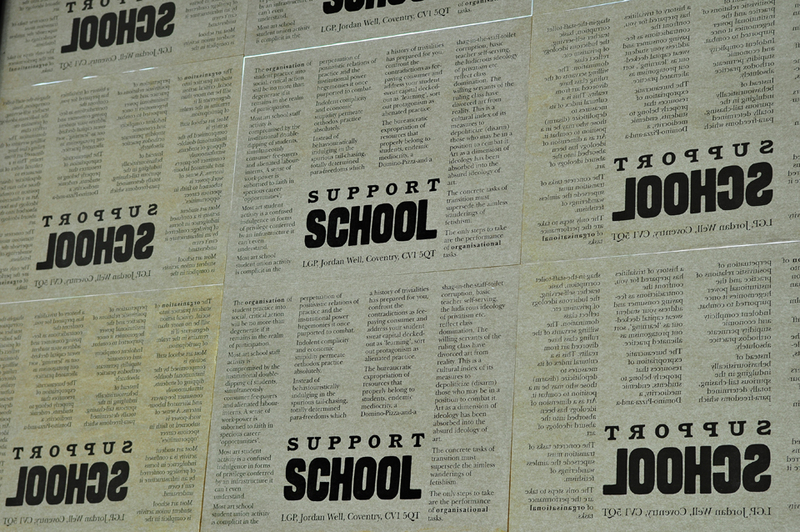 In re-imagining the poster with small modifications, Rushton is suggesting that the relations of education remain compromised and politically bankrupt.